Lee Branco was born on the 16th October 1998 to Kathleen Alma Branco. His father's identity is not known. 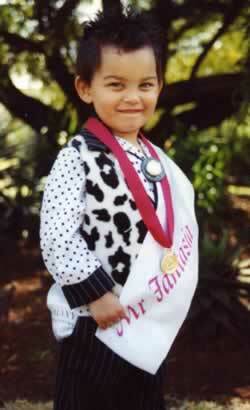 He has been raised partly by his mother and partly byhis great aunt 'Pano' Jooste. Mrs Jooste said that she took him out of the Jubilee Home, an orphanage, when he was two years old. On 18th July 2001, Lee was officially placed in foster care with Mr and Mrs C Jooste of Lowther Street 52/54, Witfield, Boksburg. 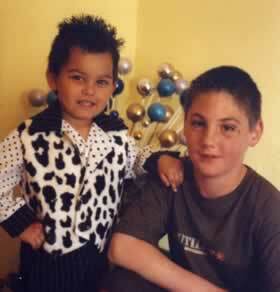 On 7th September 2003, Lee's elder foster brother Zahn Jooste (then aged 11) was playing with benzene in the garage. Lee walked in with a hot stick from the braai (barbeque) which set the benzene alight and was badly burned on his face and legs. He was taken to a private hospital in Germiston called Rose Acres, which allegedly cost some R16000 for three days of treatment including medical supplies such as Flamazine. The family apparently did not want to take the child to the geographically-closer Oliver Tambo medical centre. Lee would have been entitled to free treatment at a state facility.After initial treatment and some home remedies e.g. using pantyhose instead of pressure garments, Mrs Jooste took Lee for assessment by cosmetic surgeon Hennie Roos. On December 23rd 2003, he commented on the severe hypertropic scarring and the possibility for serial treatment over some three to four years. Dr Roos set the costs of surgery at: R2500 for the anaesthetist, R7500 for the hospital and R10000 for the surgery. 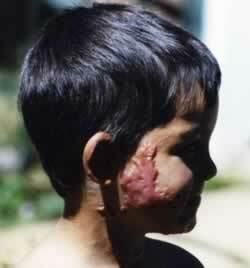 This would involve 'serial excision of burns and advancement of neck skin into the burn area'. He talked of using tissue expanders for the face. The procedure would be repeated at six monthly intervals, with costs escalating by some ten per cent a year. The total cost for reconstructing Lee's face was put at R120000. This did not include any work on Lee's legs despite the fact that there are already contractures where the skin is tearing and scabby. Mrs Jooste said that a friend had given her R1000 towards the surgery. Otherwise she was paying R420 a month for Grade R despite the fact that foster children do not need to pay for schooling and she receives R460 a month as a foster grant for the child. Children of Fire has referred the child to Johannesburg General Hospital's plastic and reconstructive surgery department in March 2004 as well as the hospital's occupational therapy department. 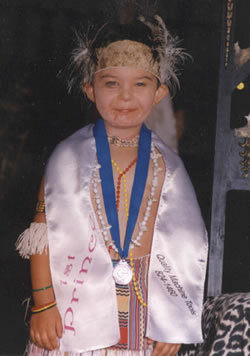 Mrs Jooste is proud of the fact that the little boy entered modelling competitions before his burns injury. She continues to enter him into competitions, putting make-up on his face and generally covering his injured legs. She says that modelling gives Lee confidence. Children of Fire suggested that acting rather than modelling might provide the same level of confidence.